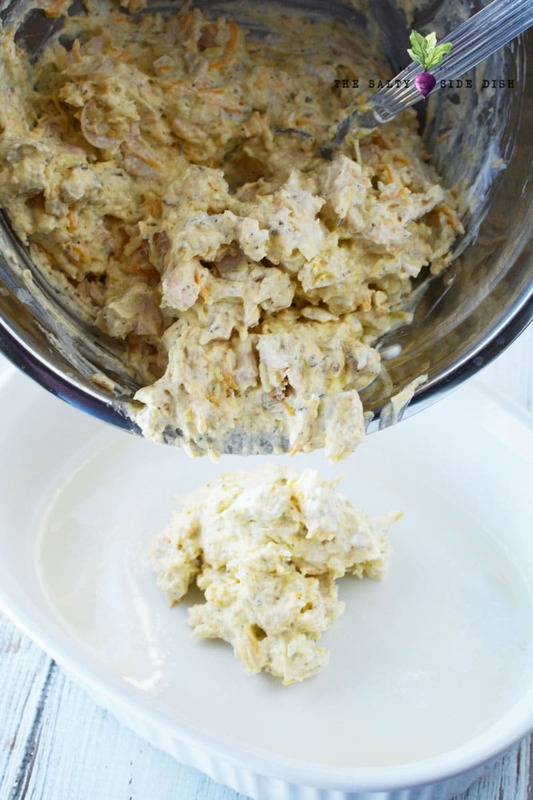 Chicken casserole with ritz crackers is a 10 minute prep casserole dish that is such an easy recipe! With pre-cooked chicken, this dish takes only 10 minutes to prep and is a family favorite ritz chicken that everyone will want more of! 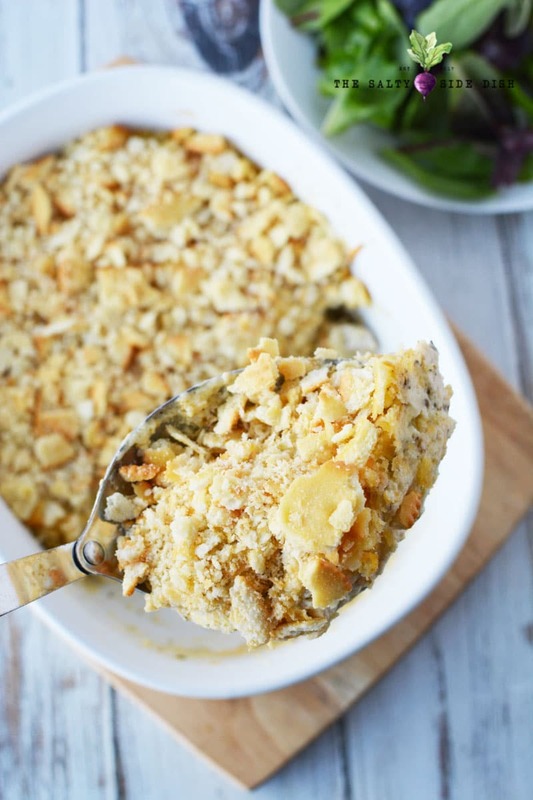 Chicken casseroles are so incredibly easy to make and so filling. I love this ritz chicken casserole (without rice) that is filling and warm and especially tasty in front of a TV on a cold winter night. I also know as a parent it can be hard to get motivated when you come home from a long day at work and this recipe is a sure fire win to feel good about what you are serving. Looking for more chicken recipes? Try my Copycat Alice Springs Chicken! 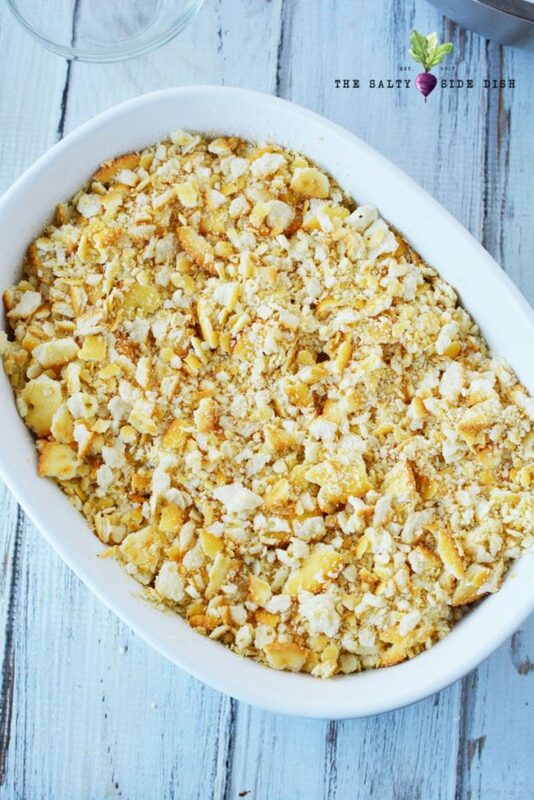 This is one of my favorite casserole dish recipes. Aside from chicken broccoli cheese casserole, there really isn’t anything as crunchy or as quick. And while I love the soft buttery flavors of the Ritz Cracker, you can use a saltine, cereal flakes or even panko crumbs if you want to mix up how you get that crunch. Do not be afraid to experiment with your chicken casserole, you know? Preheat oven to 350 and grease a 3 quart casserole dish with nonstick cooking spray. Set aside. 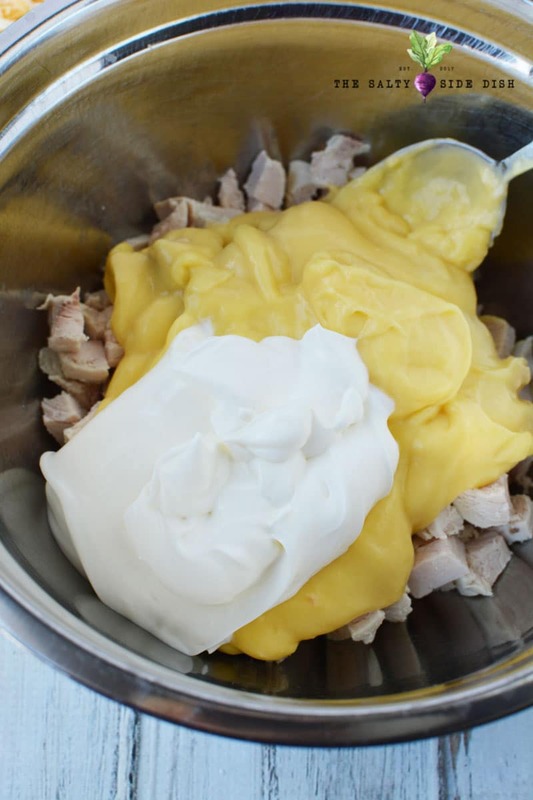 Add chicken, sour cream, soup and 1/4 cup of melted butter to a bowl and mix up really well. When it comes to a casserole dish, making sure everything is distributed evenly is totally the key here. Add seasoning, salt and pepper and grated cheese. 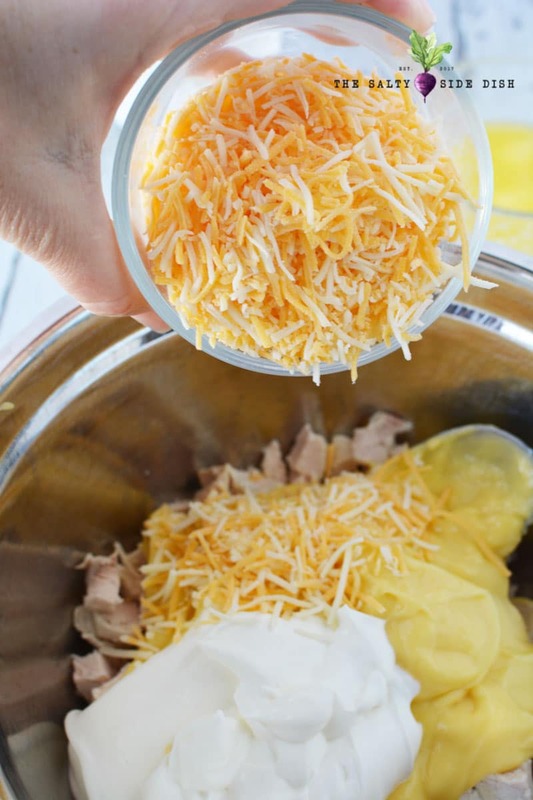 For me, there really is no “too much cheese” in a casserole, but you can be the judge on adding more or less. Mix everything up well. Pour your chicken casserole into prepared pan. Crush ritx crackers carefully in sleeve. 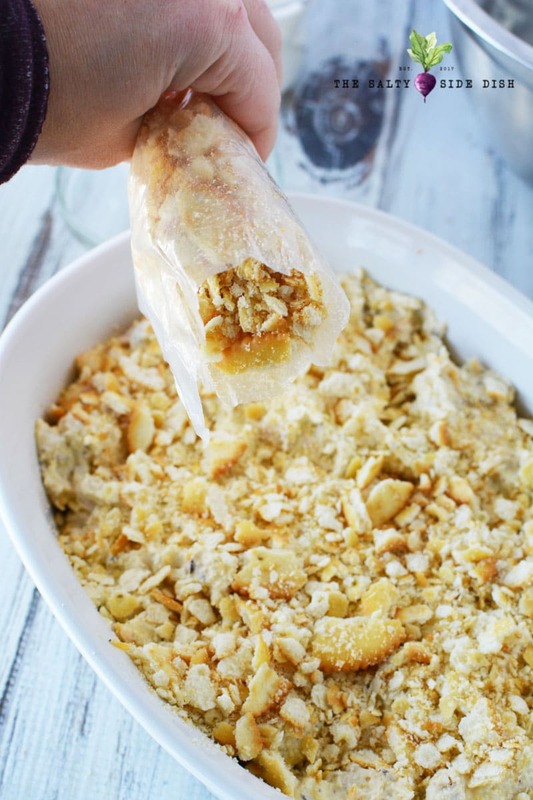 Sprinkle all those yummy Ritz over top of casserole and drizzle with remaining 1/4 cup melted butter, which will help them crisp up the top layer of the casserole. Bake your chicken recipe uncovered for 25-30 minutes or until center of the casserole is hot. 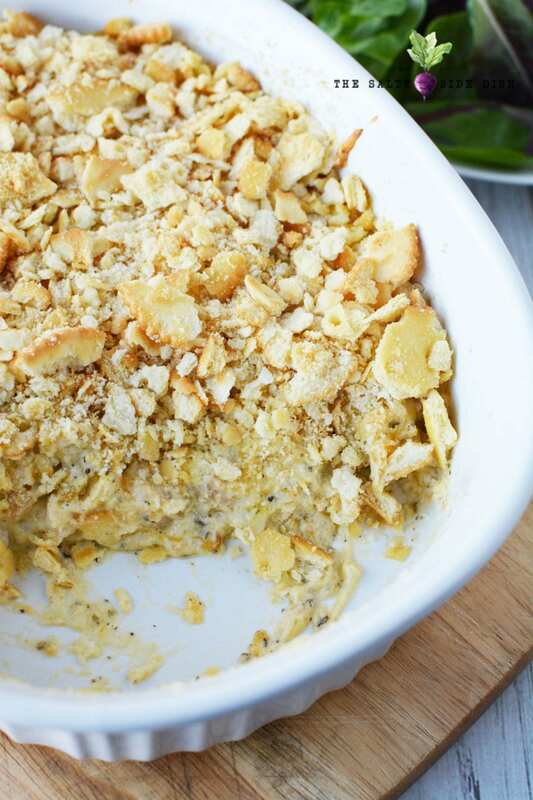 Chicken casserole with ritz crackers is a 10 minute casserole dish that is such an easy casserole dish! With pre-cooked chicken, this dish takes only 10 minutes to prep and is a family favorite ritz chicken that everyone will want more of! Add chicken, sour cream, soup and 1/4 cup of melted butter to a bowl. Add seasoning, salt and pepper an cheese. Mix well. Pour into prepared pan. 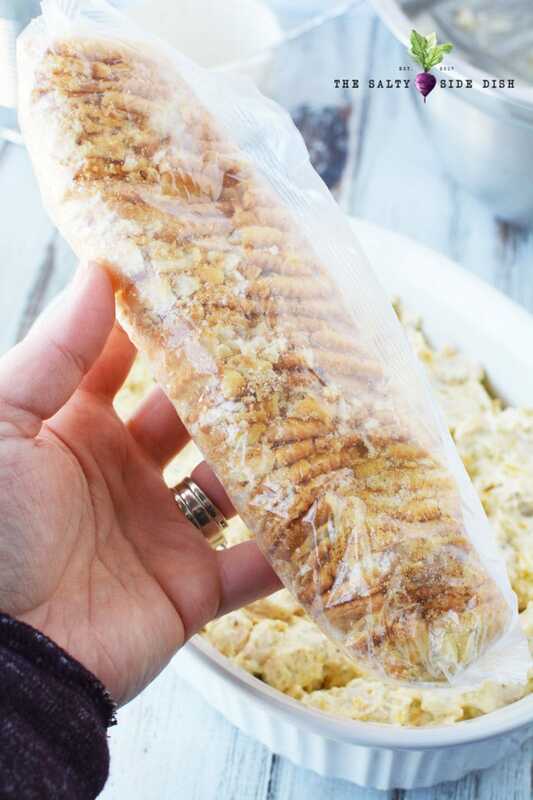 Crush crackers carefully in sleeve. Sprinkle over top of casserole and drizzle with remaining 1/4 cup melted butter. Bake, uncovered for 25-30 minutes or until center is hot.